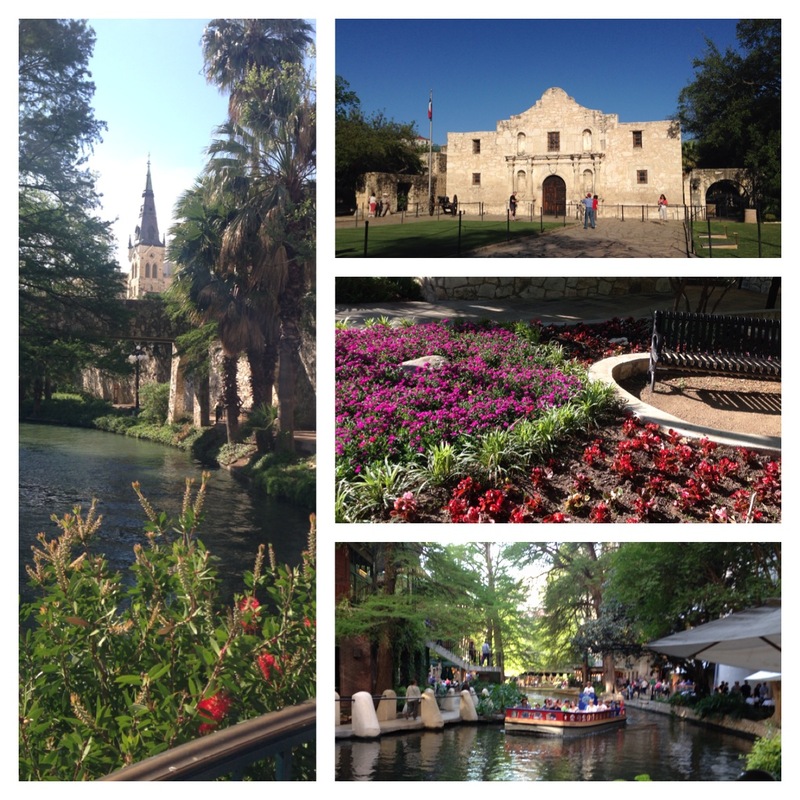 I mentioned in a previous blog post how much I enjoy visiting San Antonio. Despite its ranking as the second largest city in Texas (after Houston), the home of the Alamo manages to retain a warm, tourist-friendly—almost small-town—feel. The River Walk area provides a plethora of options for visitors—eating, shopping, lodging, entertainment, relaxation, or simply soaking in the sights. 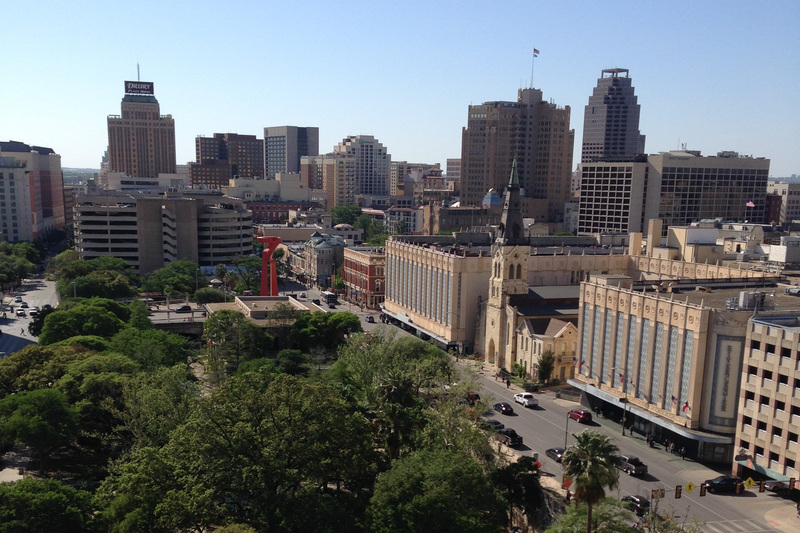 If history is your thing, San Antonio serves up a Texas-size helping of just that! Explore its native American heritage, learn more about the era of Spanish exploration, discover its many missions, relive the Battle of the Alamo, reflect on its involvement in the American Civil War, and experience shades of the Old West. Whether strolling along the River Walk, retracing the steps of Davy Crockett and Jim Bowie, or hopping aboard a trolley for a city tour, San Antonio is a remarkable destination that will call you back time and again. It’s always a good idea to stop by the Tourist Information Center across the street from the Alamo to pick up brochures or purchase tickets for some of the city’s attractions. River Walk (Paseo del Rio): This pedestrian-only thoroughfare is situated one level down from street (driving) level. Two parallel sidewalks—one on either side of the river—meander under bridges past restaurants and shops, connecting many of the most popular tourist attractions. Rio San Antonio Cruises: See the River up close and personal by way of a boat tour, Rio taxi, or group charter (groups, corporate outings, dining). A boat tour is great if you are a first-time visitor. The informative 35-minute experience combines a leisurely river cruise, beautiful scenery, and interesting historical information (Do you know why Texas is the only state allowed to fly its flag on level with or higher than the American flag?). Tower of the Americas: (750 feet tall) – Great view of the city from the observation deck; breakfast and coffee served at the Tower Café; Skies Over Texas 4D theater ride; fine dining at the Chart House Restaurant. Alamo Trolley Tours: (Hop On, Hop Off) – Great way to see the city beyond the River Walk area—including several of the old Spanish missions; comprehensive view of San Antonio with less walking. Rivercenter Mall: This attractive shopping complex at the end of the River Walk includes a number of major department stores as well as specialty and souvenir shops, an IMAX theater, various restaurants (some overlooking the River Walk), and an outdoor entertainment venue with live music. The glass-panel construction allows visitors to connect with nature—whether rain or shine! Market Square – El Mercado: Drop by America’s largest Mexican market and enjoy local talent, peruse a variety of specialty shops, and chat with cultural artisans. This open market covers three city blocks and offers a “touristy” taste of Mexico. Six Flags Fiesta Texas: A great amusement park for the adventurous thrill-seeker in you! There are rides for all ages, shows and entertainment, restaurants and souvenirs! I am super excited about the new Batman 4D wing-style roller coaster opening this summer! Sea World San Antonio: Calling all ocean life lovers! Rides, shows, exhibits, animal tours…there is something for everyone at Sea World! Landry’s Seafood: For seafood, steak, and a waterfront view, Landry’s is the perfect choice. With its white linen tablecloths, tasteful decor, and attentive waitstaff, you would never guess that it is a chain restaurant. I have dined here on several occasions and it never disappoints. Casa Ole: Situated about as close to the River Walk as you can get, this stellar Mexican restaurant is always bustling with activity. 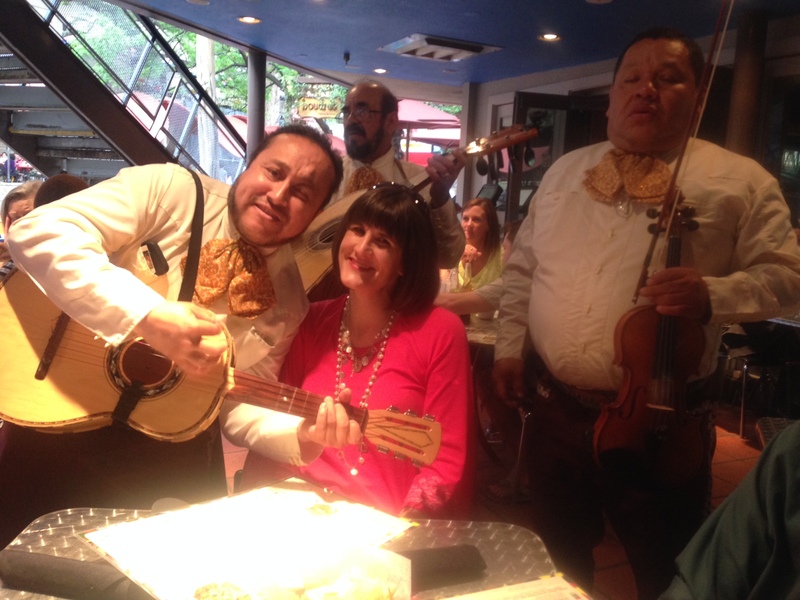 From the brightly colored table linens to the live mariachi band and Fiesta Salad to Chicken Acapulco, you are sure to enjoy a lively—and tasty—dining experience. I have stayed in the San Antonio Marriott Riverwalk (one of three Marriott hotels in the city) and would wholeheartedly recommend it. Within easy walking distance of everything, but remote enough to boast peace and quiet…with a nice view of the River Walk. If you prefer more of a boutique experience and don’t mind venturing beyond the River Walk, the historic Crockett Hotel is a choice option. Mere steps from the Alamo and other attractions, it offers comfortable accommodations that combine tradition with luxury. The hotel offers a full-service spa, valet parking, and a variety of special packages. La Cantera Hill Country Resort: If you prefer to get away from the action, be pampered in style, and maybe play a round or two of golf, this resort experience is the way to go. …and Happy Texas Independence Day, fellow wanderers! Grab your boots and hat and join in celebrating Go Texan Day, an annual tradition in the Lone Star State! The official kick-off for the Houston Livestock Show and Rodeo, it is the perfect opportunity to celebrate and build pride in Texas and Western heritage. A stellar entertainment lineup has been announced for the rodeo season, and that is just the beginning. 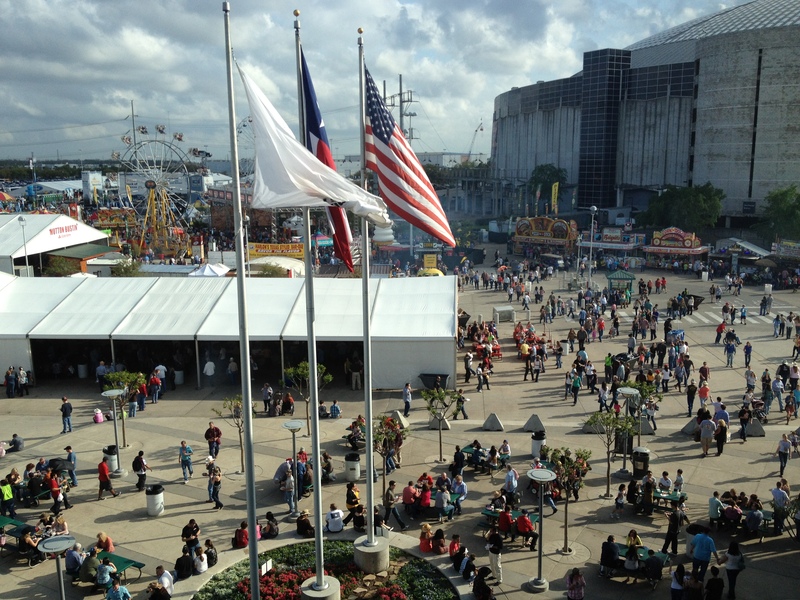 Head to downtown Houston between March 3 and 22 and check out all of the activities…livestock exhibits, the Rodeo Art show, carnival rides on the midway, a petting zoo, acres of shopping opportunities, live rodeo action, and oodles of other options. Check the Rodeo web site for details, or connect via social media. Cattle Drive: Don’t miss the world’s only twice-daily longhorn cattle drive, complete with real cowboys and cowgirls! (11:30 a.m. AND 4:00 p.m.) Arrive early for a good spot! Longhorn Photo Op: Be sure to climb up on a real Texas longhorn steer and “have your picture made!” All you need is $5.00 and your camera! Stockyards Station: Grab a bite to eat (barbeque, burgers, Mexican food, ice cream), do a little shopping (there are more than 25 specialty stores…check web site for listing), or just relax on a bench outside the general store and indulge in a little people-watching! If you time it just right, you might even catch a Wild West Shoot-Out! Horseback Riding: Choose a fifteen-minute arena ride, or go for the gusto with a trail ride along the Trinity River (half hour or full hour rides available). Shopping along Main and Exchange…boots, hats, apparel, antiques, furniture, collectibles. There is something for everyone! 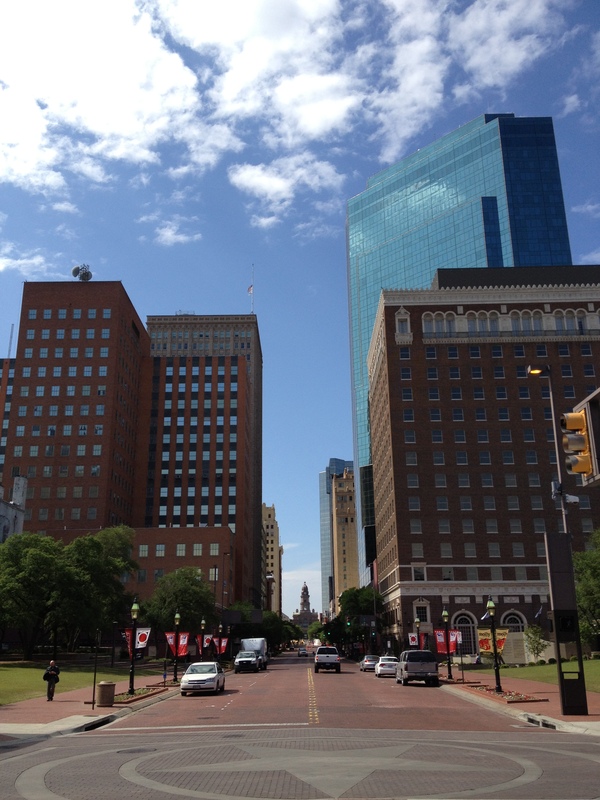 Other tourist options include the Stockyards Museum, Cowtown Cattlepen Maze, Petting Zoo, and Segway Adventures. Billy Bob’s Texas: Even if (like me) you are not the boot-scootin’, honky-tonkin’ type, you may want to poke your head in during the day and take a gander at this three-acre “Texas institution” which houses a professional bull riding arena, a Wall of Fame with celebrity hand prints, a restaurant, and a general store. H-3 Ranch Steakhouse: This Texas-style eatery serves up big flavor (steak, ribs, fish, chicken, pork…) and reflects western flair with class. My top pick! Cattlemen’s Steak House: With an extensive menu and even more extensive history, this is my second choice for true Texas fare! For the complete Fort Worth Stockyards experience, reserve a room at Hyatt Place Fort Worth Historic Stockyards, conveniently located on Exchange Avenue just steps from the action! Did you miss America’s Friendliest Cities: #8 Nashville, TN?